Nolan's CS-50 car stops shown clamped to the track. NOTE: All Nolan car stops are sold individually, but must be used in pairs. NOTE: Nolan’s car stops are designed for exposed rails. 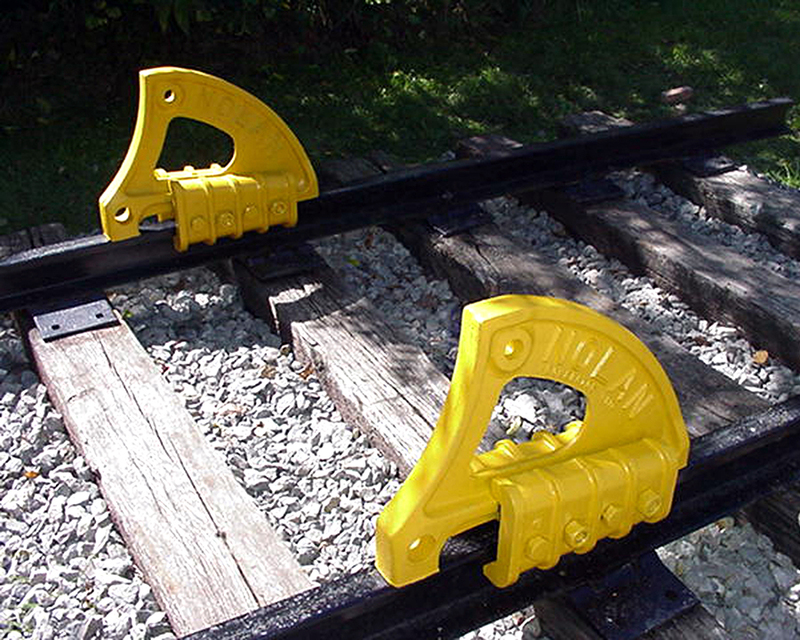 Call The Nolan Company, 1-800-297-1383 or 330-453-7922, for information regarding the use of car stops on flush rail or partially embedded rail situations.